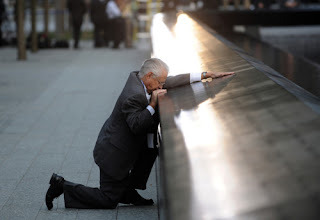 If I should ask you, "Where were you approximately 8:45 AM EST on Tuesday, September 11, 2001?" no doubt you could pinpoint your exact location and then tell of how you found out about the historic events of that day. 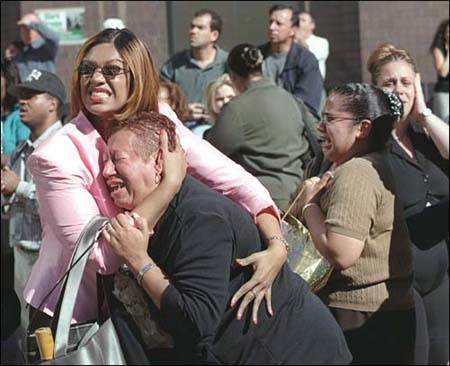 What occurred on 9/11 lives on as one of those moments in time where everyone can reflect on their whereabouts when they heard the news. 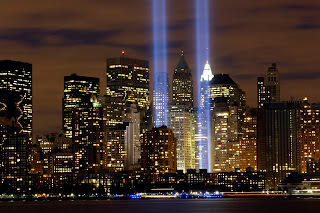 Now, 13 years later, we pause and ponder the significance of the events of that day. Some reflect with tears; others reflect with pride in how the nation has bounced back. Regardless of what we recall, each of us knows that something significant happened on 9/11/01. The well-coordinated series of terrorist attacks then shook many of us to the core. We knew that our world wouldn’t be quite the same again. At the time, I worked as an auditor with a large investment firm in Florida. A few months before the attacks, our company had acquired another investment firm – one that was based in one of the Twin Towers in New York - the South Tower to be exact. I recall watching the unfolding events with some co-workers in our downtown Fort Lauderdale office. We saw the first tower fall; and then the second. Many cried knowing not only that thousands of our fellow citizens would perish but also that several of our fellow employees would perish as well. As it turned out, we did lose several dozens from our company in the tragedy. A week later, we held a memorial service at a church across the street from our Florida office. And because our New York office was destroyed in the attacks, most of the surviving employees were transferred to our office. I got to learn of many firsthand accounts of the events of that day. It became less of an event that I witnessed on TV; it was much closer to home as I learned of the day-to-day lives of some coworkers who lost their lives. With this post, I’d like to think of all the families affected by the events of that day. Family is the primary institution at the core of the American experience – even more, the human experience. Each day, across the world, people wake up, leave their loved ones to go to work. And when work is done, they return home to those they love the most. September 11, 2001 started out as just another day. As usual, thousands of people flocked to their daily work in Manhattan and Washington DC, leaving their families behind. Husbands and wives, fathers and mothers all left home to simply go to work. That morning, others headed to the airports to make cross-country trips. Some were business travelers while others were just traveling for personal reasons. It was just another ordinary day. Then all of a sudden, without any warning, tragedy struck. First there was what many thought to be a freak accident with the crash of an airplane in one of the Twin Towers. Then many of us watched in horror as the second plane hit the second tower. Then a plane hit the Pentagon in Washington DC. Then another plane went down in a field in Pennsylvania. No doubt, we were under attack. For the next several hours, thousands of frantic phone calls were made as family members and friends tried to see if their loved ones were ok. I can’t imagine the feeling of not being able to reach any family member at such a time, knowing they might have been victimized by the unfolding events. But for many, that was their reality. And sadly, for over 3,000 families, their loved ones were not ok; they were innocent casualties of these vicious attacks. 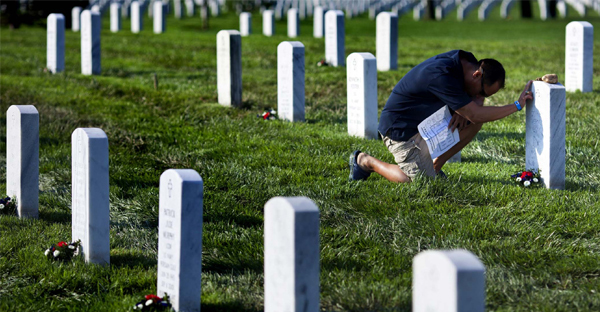 For the families left behind, they had to cope with the loss of their loved ones. Hope became despair; hearts were broken; tears were shed. How could this happen? How could such a series of coordinated attacks really happen here in the United States of America? Husbands and wives were lost. 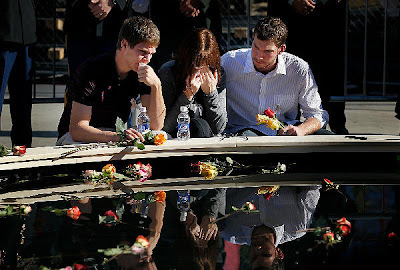 Fathers and mothers, sons and daughters, sisters and brothers – all gone as a result of this senseless tragedy. As the nation and the world mourned, it was the families of those who perished who felt it the most. They had to live with the daily reality of the death of their loved ones – all gone in an instant. No time to say goodbye; no time for anything. Their lives got turned upside down on 9/11 and they would never be the same again. I cannot imagine the pain and suffering that each one has felt. But I do know that the pain has been very real. I have a particularly soft place in my heart for the children who lost parents that day. Sadly many of these children have little or no memory of “daddy” or “mommy” because they were so young at the time. They were forced to grow up fatherless and motherless – all because of the acts of terror. 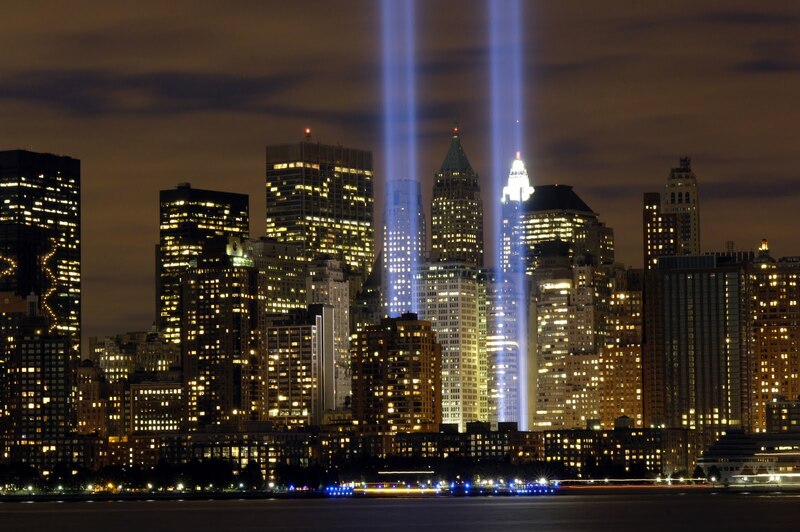 Now, 10 years later, we pause and reflect on that day. Many, who thought that they wouldn’t make it, have made it. Many, who became so weak from the tears that they shed, have become so much stronger. The attacks that were meant to destroy a nation and to shake our psyche have made the nation stronger. Family members who were greatly wounded by their loss have healed from their hurt and have picked up the pieces and moved on. Certainly tears are still shed, particularly as we reflect on this 13 year milestone. However, the collective resolve of the surviving family members to live victorious lives in the face of tragedy is something that millions have grown to admire. 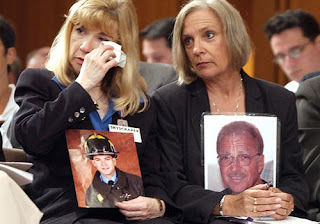 The 9/11 Commission - that investigated the events that culminated on that fateful day – was formed as a result of the insistence by the families. And many of the recommendations of the Commission have been implemented, thus averting many similar plots. They lost loved one and have helped to ensure that others would not be lost in a similar way. In the face of tragedy, these families responded in ways that would have made their loved ones proud. If you lost family, friends or other loved ones in the tragic events of that day, please know that they did not die in vain. They’re gone but not forgotten. Their lives continue to touch ours – even today. 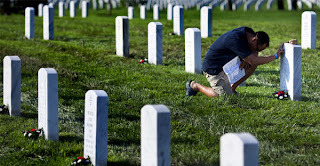 Whether or not you were directly impacted by what occurred on September 11, 2001, do commit to loving your family members and friends more each day. And let them know how much they are cared for. Tomorrow is promised to no one – young or old. Live your life in such a way that your spouse, children and others know how much you care for them. That’s really what life is all about. Let the unfortunate events that occurred 13 years ago cause each of us to continually embrace the gifts of live and family even more. That would be quite a fitting tribute to the families affected by 9/11.